This property has approximately 2,000 sq. ft. of office, retail or residential use. The two story building has separate entrances for each floor and separate AC/heat. 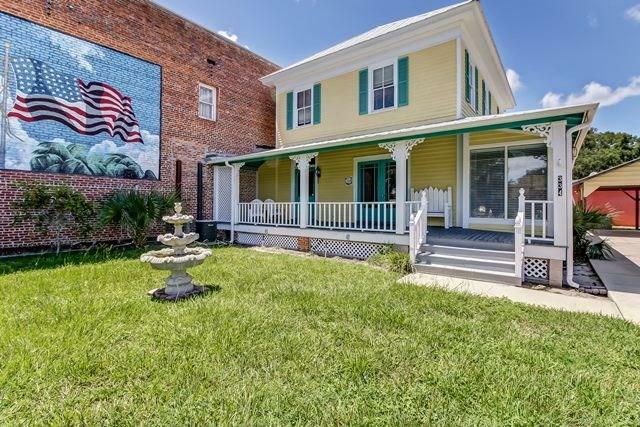 This 1880's building has significant local historical value and has a paved parking area and carport for occupants. Owner financing may be available to a qualified buyer with 20% down and 7% for 30 years to balloon in 5 years with no prepayment penalty. Under documents, see building layout, survey and zoning information for building usage. All three adjoining buildings can be bought together - MLS173273, 173270 & 173276. Listing courtesy of Coldwell Banker Ben Bates.